Florence is a historic Italian city, the architecture and texture of which has inspired this model. Of late, Iranians have been fond of classic designs. 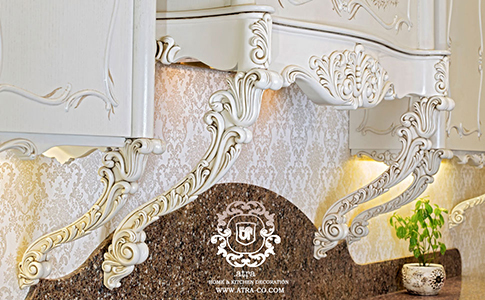 By bringing wood from nature to homes, the inhabitants are provided with more liveliness and serenity. Here the posts and legs are engraved by skilled masters of the trade, with the ornaments and woven patterns double the beauty. 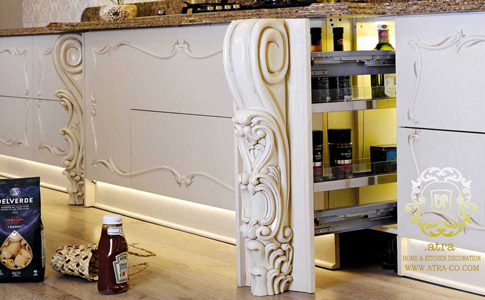 The other feature is the replacement of handles with electrical magnets, enhancing its seamlessness. The wood types are rasch and oak, with Italian Alpi veneer that allows gapless overlay and increased resistance due to its thickness. The issue of moisture has been tackled by using seven layer wood for the foot, which prevents moisture conveyance. The dye is Italian polyurethane, resistant to UV and antibacterial. 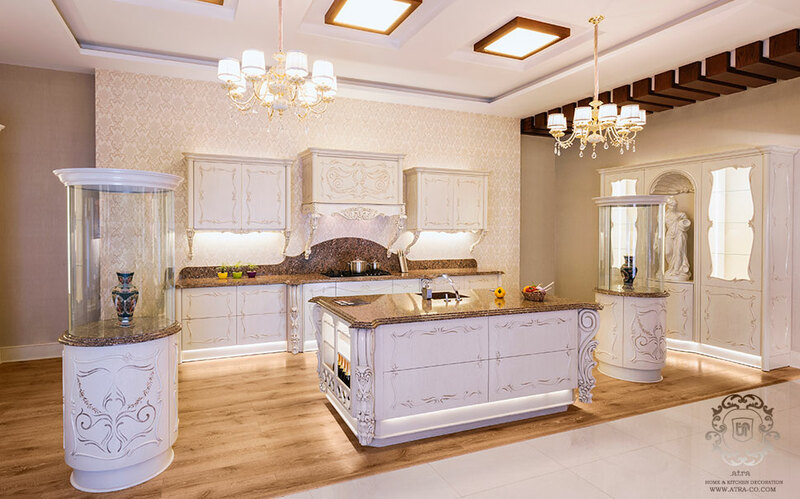 The counter stone is quartz, which is antibacterial, abrasion resistant and easily cleanable in addition to being sturdier. The lighting is a linear SMD type preventing shading in different levels. The double functional element of dedicating the lower part to cabinets and the higher part to plant terrarium makes this design special.